A question of non-stop improvement! improving and adapting our processes. 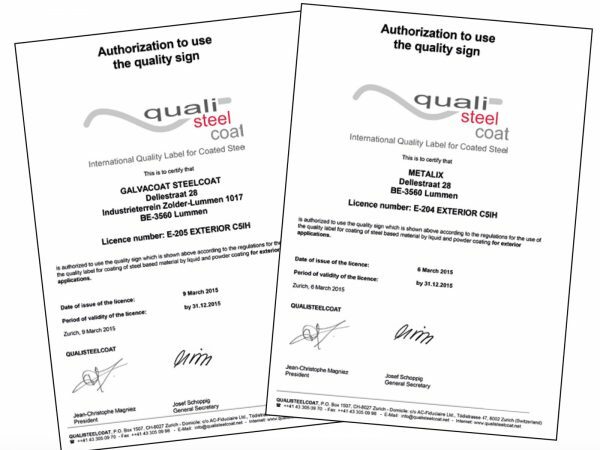 in Belgium that is certified by Qualisteelcoat for both powder-based and wet-paint – in the highest corrosion class: C5. 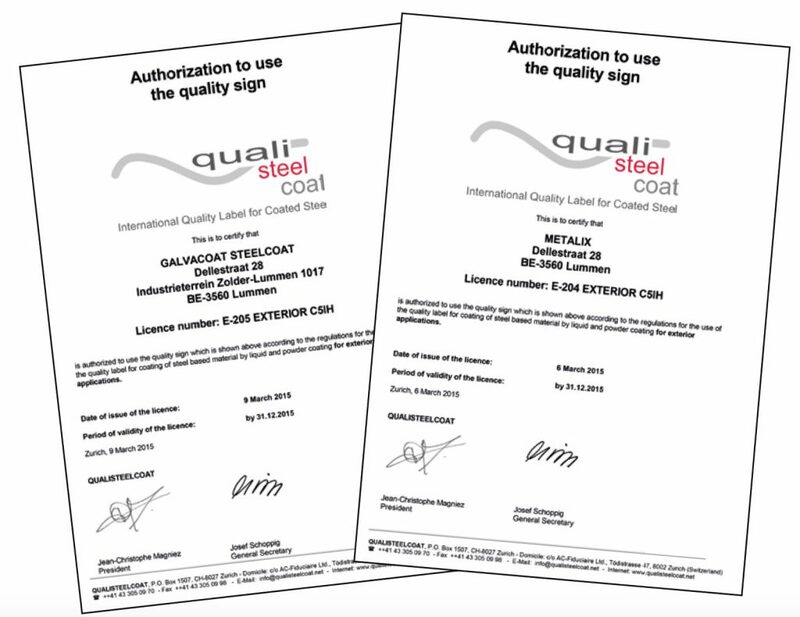 For more information about our quality label for steel, you are always welcome to speak with our quality manager. Feel free to ask about our guarantees.